Unlike the 1986 act however, the Tax Cuts and Jobs Act includes numerous critical victories for the multifamily industry. It provides tax cuts for individuals, pass-throughs (e.g., LLCs, partnerships and S Corporations), and REIT entities, while leaving intact critical provisions promoting the development and operation of apartment housing. For example, multifamily firms will be able to continue to fully deduct business interest and conduct like-kind exchanges while depreciating buildings over 30 years or, in some cases, the present 27.5 years. Finally, in a victory for the production of affordable housing, the Act retains both the Low-Income Housing Tax Credit and Private Activity bonds. Here is a summary of the key provisions in the Act. A detailed chart can be found here. Individual Tax Rates and Pass-Through Income: The Act includes seven tax rate brackets applicable to both individual and pass-through income. The rate brackets range from 10 percent to 37 percent in contrast to today’s top rate of 39.6 percent. The Act’s maximum 37 percent rate is effective for taxable income exceeding $500,000 for single filers and $600,000 for joint filers. The rate reductions expire after 2025. Not only does the Act reduce marginal income tax rates, but it also enables a portion of pass-through business income to qualify for a 20 percent deduction, or a top effective rate of 29.6 percent. The deduction on pass-through income is available through 2025. For taxpayers earning over $157,500 (single filers) and $315,000 (married couples), the deduction is limited to the greater of: (a) 50 percent of the taxpayer’s share of aggregate W-2 wages paid by the business; or (b) 25 percent of the taxpayer’s share of aggregate W-2 wages paid by the business plus 2.5% of the unadjusted basis of all qualified property. Estates and trusts are eligible for the 20 percent deduction. The Act’s deduction for pass-through income should be a significant benefit to the multifamily industry. While the Senate-passed bill would have provided a 23 percent deduction to pass-through income, the benefit was limited to 50 percent of a taxpayer’s allocable wages. NMHC/NAA made the case that the formula would have excluded many operators who have significant levels of capital deployed relative to wages paid. The alternative limitation for income derived from capital-intensive activities included in the conference report should be beneficial to the industry. REITs: REIT dividends are fully eligible for the 20 percent deduction. Business Interest: While the Act generally includes limitations on the deductibility of business interest, it allows multifamily firms to elect to fully deduct business interest. However, there are consequences regarding the depreciation of multifamily buildings for firms electing to preserve full interest deductibility. Firms with average annual gross receipts under $25 million over the past three years are exempt from limitations on interest deductibility. Depreciation of Multifamily Buildings: For multifamily firms wishing to retain the full deductibility of business interest, the Act increases the current-law 27.5-year depreciation period applicable to multifamily buildings to 30 years. Firms able to abide by limits on interest deductibility will retain 27.5-year depreciation for multifamily buildings. Notably, the Senate initially sought a 40-year depreciation period for buildings, but NMHC/NAA were able to secure an amendment during committee markup offered by Finance Committee Chairman Orrin Hatch (R-UT) to reduce the period to 30 years. This period is retained in the final bill. Depreciation of Assets Other Than Buildings: The Act enables multifamily firms to expense assets apart from buildings, such as land improvements and tangible personal property, placed in service from September 28, 2017, through 2022. Bonus depreciation, also known as an additional first-year depreciation deduction, applies thereafter (80% in 2023, 60% in 2024, 40% in 2025, and 20% in 2026). The Act also doubles to $1 million the amount qualifying property that a small business may expense in the year of purchased. The $1 million limit is reduced once investment in qualifying property exceeds $2.5 million. Notably, qualifying property is expanded to include assets involved in furnishing multifamily housing and student housing, such as furniture and appliances. Like-Kind Exchanges: The Act preserves like-kind exchanges for real property. A critical win for the industry, like-kind exchange rules play a vital role in supporting the multifamily industry by enabling investors to remain invested in real estate while still allowing them to balance their investments to shift resources to more productive properties, change geographic location, or diversify or consolidate holdings. Carried Interest: The Act requires an asset to be held three years to receive capital gains tax treatment. NMHC/NAA encouraged lawmakers to maintain the current-law tax treatment of carried interest. Both the House and Senate bills elected to include a three-year hold period. There were efforts during consideration to tax carried interest at ordinary income tax rates regardless of the holding period. NMHC fought to hold the line on the three-year holding period as opposed to extending it further. The provision is effective beginning in 2018. Low-Income Housing Tax Credit: The Act preserves the Low-Income Housing Tax Credit (LIHTC) and private activity bonds. The House-passed bill would have eliminated private activity bonds, jeopardizing the efficacy of the 4 percent LIHTC. NMHC/NAA worked tirelessly to advocate that private activity bonds be included in the final bill. Not addressed, however, is the loss of equity LIHTC would raise as a result of cutting the corporate tax rate to 21 percent. Estate Tax: The Act immediately doubles current law’s estate tax exclusion ($5.49 million single filer / $10.98 million married couple) while retaining stepped-up basis. The expanded estate tax exclusion expires after 2025 with the exclusion amount reverting to current law. Active Loss Provision: The Act includes a brand-new measure from the Senate-passed bill that limits active income losses of flow-through entities. Under the provision, a taxpayer can deduct only $500,000 ($250,000 for single filers) of net active pass-through losses against wage or portfolio income. Disallowed losses may be carried forward as part of a taxpayer’s net operating loss. Effective in 2018, this proposal sunsets after 2025. • Maintaining the Current Law Estate Tax. 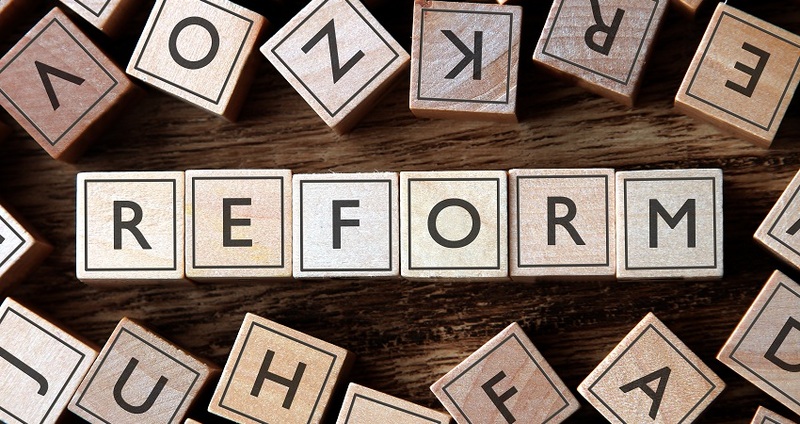 Although every piece of complex legislation includes positive and negative provisions, NMHC/NAA believe the Tax Cuts and Jobs Act largely reflects the industry’s priorities and keeps intact the critical elements of the multifamily business model. Apartment owners and investors should benefit from tax relief brought on by rate reductions and the deduction for business income while being able to fully deduct business interest and conduct like-kind exchanges. While owners will, in some cases, have to depreciate buildings over 30 years and have to hold assets for three years to be able to treat carried interest as a capital gain, the industry worked tirelessly to see that these provisions were as least harmful as possible. On the affordable housing front, the Act maintains the LIHTC and private activity bonds, which should help drive new construction of affordable units. Finally, the Act doubles the estate tax exclusion and maintains stepped-up basis. The industry will now turn its focus to ensuring that regulations implementing these measures work as Congress intended. We will also focus on making permanent those proposals that would benefit the industry, but are set to expire in 2025 under this Act.